I believe our birth right in the West is to be free. The money we earn and our personal information should be our own. The place where I’ve found that our government thinks otherwise is at the bank. She was right. Within a year, our government, wholeheartedly following it’s money master’s neo-liberal economic doctrine, sold that NZ owned Post Bank to a foreign bank. The bank in the shopping centre soon disappeared, along with her job, and bank fees averaging $28 per month were introduced. The government also upgraded our tax legislation – granting the IRD scary powers, exempting it from our privacy laws. So that was back then. Today the IRD can just reach into our private bank accounts and take our money if we don’t pay. I discovered that last year on one of their forms. Anyway, fast forward from the early 1990’s to late 2014, when I was at the bank filling out a deposit slip; and I overheard a man opening a bank account at a nearby desk being asked if he was an American citizen. Then I heard the bank staff member explain they have to ask the question because of “FACTA”, a new law. That got my attention. I am married to a man who is an American, even though he left the US as a child. When I got back to the office I told him about this new banking law. When we looked up FACTA, we were horrified. 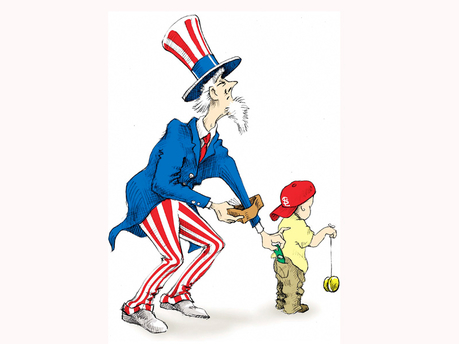 The US government regards anyone who has been born in the states as a taxable resource. 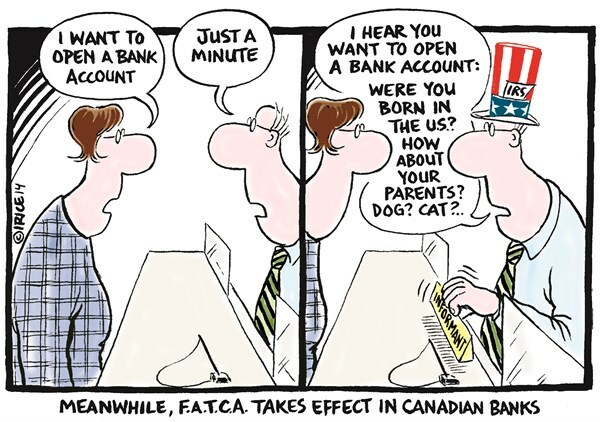 Citizenship Based Taxation, FATCA, is designed to serve as a capital control; Human Capital. The US, along with Eritrea, does Citizenship Based Taxation. Eritrea was recently condemned by the UN (Resolution 2023) for doing it. Take the case of London’s Mayor, Boris Johnson. He was born in the USA but returned to England with his parents at the age of 5. The U.S. government forced him to pay the capital gains tax on the sale of his Islington home. He has never lived in America, but that means nothing to the IRS. They are hunting everyone everywhere. What happens when we want to save for our retirement? What happens if we want to open a new bank account? What happens if we sold my house that I bought and freeholded before I met my husband? Would the IRS be alerted if the money went into our joint bank account? What happens to my information? I am a non-US citizen, and my personal data would be sent to the US with no privacy protections. It doesn’t matter that we already pay taxes in NZ. The only way around all of this is for our accounts to be separated. The form that US tax subjects have to fill out is a FBAR form. If you get any information wrong on the form the IRS can substitute penalties for taxes. I’m sure you get the drift. We decided that if asked about my husband’s citizenship we’ll answer truthfully that he is a NZ citizen and let his US passport rot in a drawer. If the letter from the US government does come, my husband said he would renounce his US citizenship. I told him he would be better to “relinquish” it, in case he ever wants to visit the US. We were appalled at the privacy invasion. New Zealand has agreed to hand over our bank account details to a foreign country! Our privacy laws are useless, they haven’t been overhauled in years, and IRD with its massive powers abrogates them. This signifies the unacceptable encroachment of the government into the lives of every citizen – both here and in the US. A New Zealand government didn’t want the political fallout which would come from breaching our privacy legislation, so they used IRD, being immorally above that privacy legislation, as a backdoor for US to spy on its own citizens. If they did this once, why won’t a future government find it convenient to use the Teflon IRD on other issues that might be a bit embarrassing politically? Answer: there’s nothing stopping any government doing this. It’s the premise of this blog that IRD and its huge powers, is where the rubber meets the road to our total serfdom. All the Left protesting against GCSB, NSA and PRISM, what’s the difference, again, please? 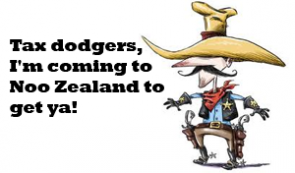 Just to add insult to injury – the cost of enforcing US tax laws should be borne by the USA and FATCA, but the cost has been passed on to our spineless NZ government. 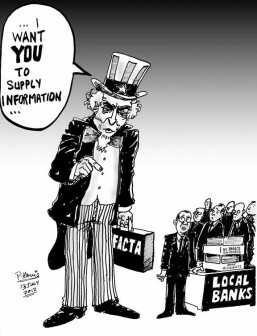 The US government treats its citizens like a bankrupt bully with a gambling addiction. It’s got it’s children, and their children’s children into debt; and now it’s raiding their piggy banks. This is what it looks like when the financial elite get control. My advice is protect your wealth and your assets from them. 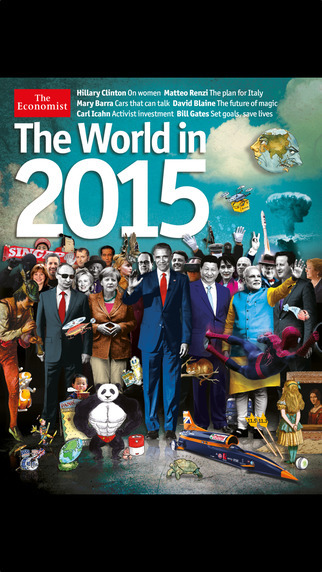 Well, here’s an odd cover from the Economist to start 2015 off. Who is the Economist, and why did they produce this cover? Do they make predictions, or do they cause them? First off, the Economist is partially owned by members of the Rothschild Banking family of England. Their kind of economic and cultural liberalism is wrecking countries and cultures, as they work towards their goal of a new world order. Unfortunately it seems the majority of the world leaders are working for them and have been for some time. Liberalism hates boundaries. No doubt the people behind the Economist believe that they are the intelligent ones; and that is why their people on the cover are in black and white, versus the people in colour “obstructing their progress”. We have Alice in Wonderland facing the leaders. “Curiouser and Curiouser”, as Alice said. 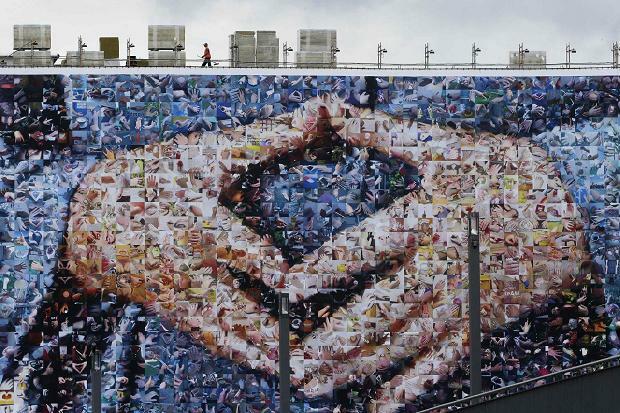 The German Chancellor Angela Merkel is making an interesting sign with her hands. Does anyone know what that sign is? Is it related to Freemasonry? It’s a sign she makes often – so often there was a giant poster of them in Berlin. I gather “guten handen” would be “good hands”. Really? 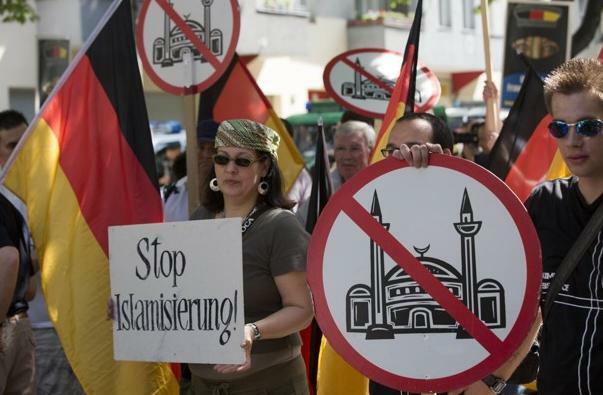 At the time of writing this, Angela Merkel has insisted that “Islam belongs to Germany,” as she attempts to rein in a growing German protest movement against Islamisation. If that were true, what boundaries will there be to protect the culture and religion in Germany (and Europe) against mosques, sharia law, a demographic time bomb and Islam’s aspirations? What should she be reining in? I don’t believe the protesters will be listened to. They’ll be labelled “right-wing” and racist, and they’ll be equated with Nazis. Is Germany really in “good hands?” Is Merkel serving the German people, or a hidden agenda belonging to the Globalists? Lastly we have two arrows next to a pile of dirt with 11.5 and 11.3 on them, right in front of Alice in Wonderland. Goodness knows what that represents. I hope it’s not related to that awful depiction of the two-faced world and the mushroom cloud. No doubt we’ll find out. Sigh.